The　Shanghai　Warehouse ,　covering　an　area　of　30000　M2, established　in 1998 , is one of the key subsidiaries of　FarmaSino, which is　located in　the international　transportation and　logistics center of　Shanghai-Baoshan　District , and it is one　of the three warehouses that can store dangerous Chemicals in Baoshan area. At present , Shanghai Warehouse owns 23 rooms in 9 buildings that covers an area　of nearly 8000 M2 and another 5 sheds that covers an area of 5000 M2, and 7 forklifts as well. Also it is equipped with a complete　fire safety　facility and has　a professional　management team to ensure the safety of storing materials. As the warehouse　of dangerous chemicals,　Shanghai Warehouse has the complete　qualifications and　approval procedures. 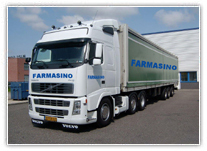 It has been engaged in transmit,　storage　business of dangerous goods for a long time. It is one　of the companies that involved in the field of　storage ,　transmit,　loading and unloading　containers　of the international dangerous goods in the early time in shanghai. Currently　the　Shanghai　Warehouse is　mainly　engaged in　the business　of loading　and unloading　containers and　storage as a supplement. 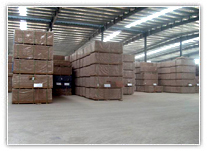 The annual production　capacity is about 5000 ~ 6000 FCLs and the warehouse cargo is about 100,000 tons a year.